As blades fail to replace themselves. As though life itself is a palimpsest. An artist is destined to move from enfant terrible to éminence grise and thereby from creator to re-creator, from provocateur to doyen. I accept this reality. Even so, I find the case of Pierre Boulez to be especially sad. Why? Because one should expect more of someone who once expected so much of everyone, himself included; someone who exerted such persuasion; someone who once attempted an overhaul of music, the way it is composed and the way that it is perceived. Here is a man who once left no one ambivalent: One was pro or contra, with no middle ground. The revolutionary spirit, once the essence of what distinguished him, evaporated. Instead of polarizing and forging ahead, complacency circumscribed him, as he became the very incarnation of the institutionalism against which he had inveighed. While his work as a conductor has earned him an exalted status, conductors ultimately leave nil for the world apart from sonic ghosts etched in one moment as summoned up in another. I cherish some of his recordings, but know that many of them have since been bettered. The early, less inhibited, work is in a league of its own. Composers have better luck overall, but their fates are vagaries, as well, and as a composer with few obvious masterworks, the castle of his reputation seems doomed to collapse on itself. Again here earlier is better; Boulez never quite recovered from his aleatory phase and his dabbling in electronics is mediocre or worse. IRCAM and Ensemble Intercontemporain will continue, no doubt, but the former has not produced results of the magnitude to justify his hopes 40 years ago and the latter has numerous peers that outplay it. The future is unlikely to be as generous as the past and present have been to him. The composers whose careers he held back due to dogma or jealousy; the power grabs, both successful and otherwise; the siphoning of valuable resources, still happening; and much more all await reevaluations. The musical tide currently ebbs in minimalism and flows in populism, each of which Boulez detests. His brand of modernism has definitely lost. Here is the keenest tragedy, an instance of rigid dogma deterring two generations, and now more, from pursuing a craft of the utmost subtlety and workmanship in favor of easy returns, conventional answers and safety in abundance. The present needed not be this way. That it is so must largely be the fault of Boulez, the figurehead of uncompromising radicalism, who pursued a goal he never quite achieved. 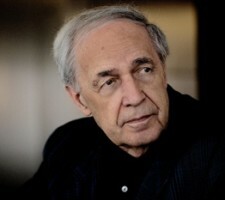 Rather than winning converts to what he deemed as the imperative of a forward trajectory for music, Boulez generated reactionaries; rather than writing more music, he mostly parodied himself in countless revisions and rewrites; rather than plowing a furrow for future musical sowing, he encroached upon the outer expanse of the known universe and retreated to more comfortable terrain, leaving the real exploration to other composers, many of whom he ignored. In hindsight, his output seems monolithic. Reliable, yes, and sometimes revelatory, but never reaching its potential. I therefore prefer to think of the younger Boulez, the one that predates my lifetime by decades: An era when music could shock, not because it tried to shock, but rather because it needed to shock, and when the idea of what a concert could be was open to discussion. Now all has calcified, including Boulez. I struggle to imagine the potency that he once had, the import that he managed to hold, then lose: le monde selon Pierre. He failed in his dream, of course, as all utopias must wither, but at least for a time he had the courage, and a knack for opportunism, to stand by his convictions and make them real. Boulez himself is an allegory for the 20th century, when art forms reached, and exceeded, their logical ends: From grand schemes all creative acts reach for the beyond only to stoop to the pragmatic reality of art as commercial object. If music is dead, and it very likely is, Boulez helped to usher in its sedatives.